Should Netflix offer premium titles on-demand? Netflix has been successful by offering customers a flat rate for monthly rentals of DVDS, Blu-ray Discs, and unlimited streaming to TVs, PCs and mobile devices. As the company continues to see more and more saturation among US households (and streaming to customers in Canada), one might ask if there is another product Netflix could pursue which would offer new titles day-and-date with DVD releases using a pay-per-view/on-demand model. Why ask this question when Netflix already has a successful business model? Netflix’s weakest link is its lack of newly released blockbuster films. In the past, critics faulted Netflix for their library of virtually unknown, independent and cult type of movies. Granted, there are quite a few movies in the Netflix library that might have you questioning why you spent 90 minutes engaged in a film that was either disturbingly horrible or unforgettably forgetable. But Netflix has made some new deals recently with studios and distributers such as Disney/ABC and Nu Image/Millennium Films, as well as joint studio venture Epix to add more popular TV shows and movies to their library. And, the company has been offering premium titles from Starz network to customers through their streaming product (although none in HD) which serve up many well known and popular titles. But even premium titles acquired by Netflix are months from the DVD, Blu-ray Disc, and On Demand release dates. If you want to see the latest Harry Potter film when it gets released for home viewing you’ll have to either pay a premium to an on-demand service or purchase the Blu-ray Disc or DVD. 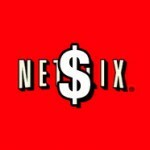 As Netflix becomes a household name the company probably has room to experiment with other revenue generating models, rather than indefinitely increase monthly subscription fees. Whether or not the studios will license out their titles so quickly to Netflix remains to be seen. However, Netflix already has the infrastructure (soon to be served by content delivery network Level 3) and consumer device penetration to reach a wide customer base who might want to see the latest Harry Potter film day-and-date with disc release and wouldn’t mind paying a premium to see it. As viewing content clearly moves toward the intangible digital format and away from the physical disc, Netflix is already positioned to offer premium content as do television service providers. But wait, aren’t the service providers selling the same thing? Oops. Now there’s that whole net neutrality thing that throws a wrench in the works. 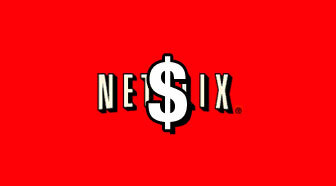 In fact, Comcast is already battling with Netflix over who gets subscription and rental fees.